Mrs and Mrs Buttuls. I had the pleasure of meeting George many years ago here in Sun Peaks, when he joined my fiance for ski lessons after a hip operation! He first commissioned me to paint a portrait as a gift for his best friend, Karl. 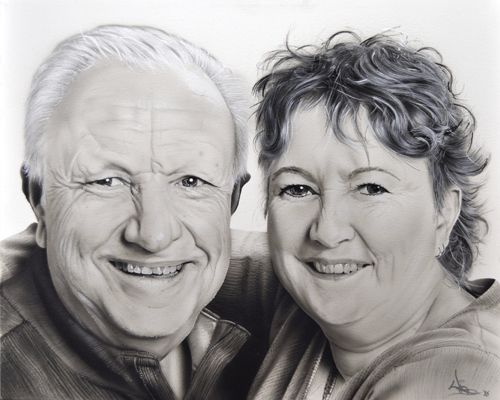 Since his first commission George’s wife, Corinna, has wanted to have one of the 2 of them. 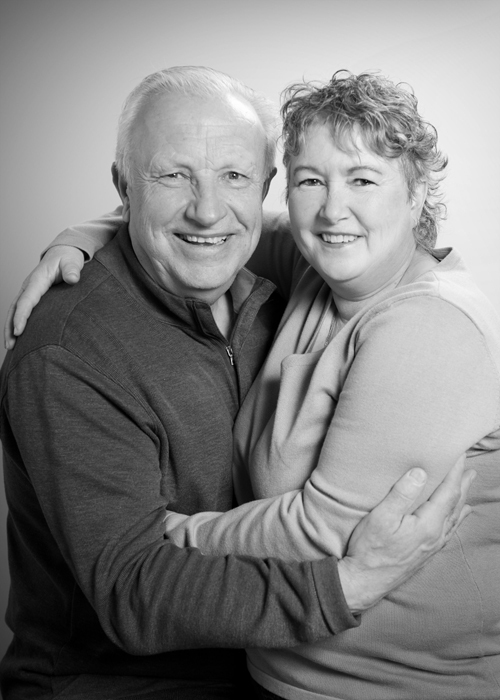 When we launched the Fine Art Experience, George and Corinna were delighted when we asked them to be our first clients. We first suggested the idea to George who then surprised Corinna with the package. It was clear from the photo shoot images that they had a ton of fun! Once we selected the image from the shoot, I began creating their portrait. The incredible detail in the digital shots allowed for such fine detail to be transferred into the painting. I even had to stop adding more and more, as I zoomed into the file! The final painting was revealed at the 2016 Kamloops Home Show, where Mel and I launched the Fine Art Experience. Painted on 16×20 canvas using airbrushed acrylic and hand detailing. Frame by Access Picture Framing.